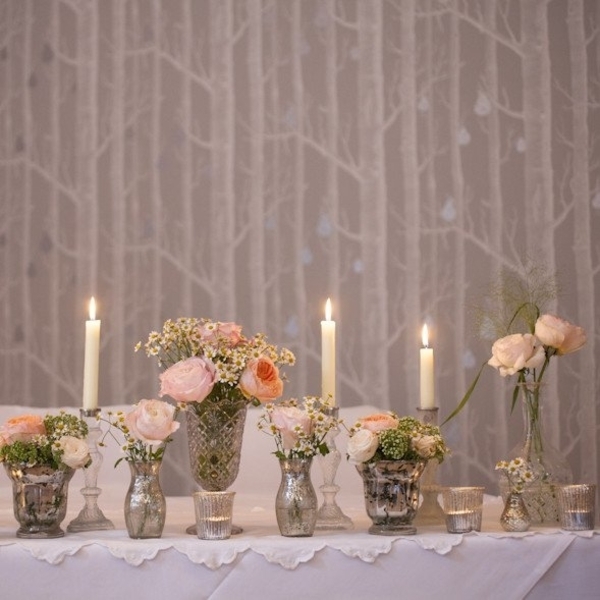 Silver vases and candle holders are wonderful decorations to use throughout your wedding venue and reception tables. 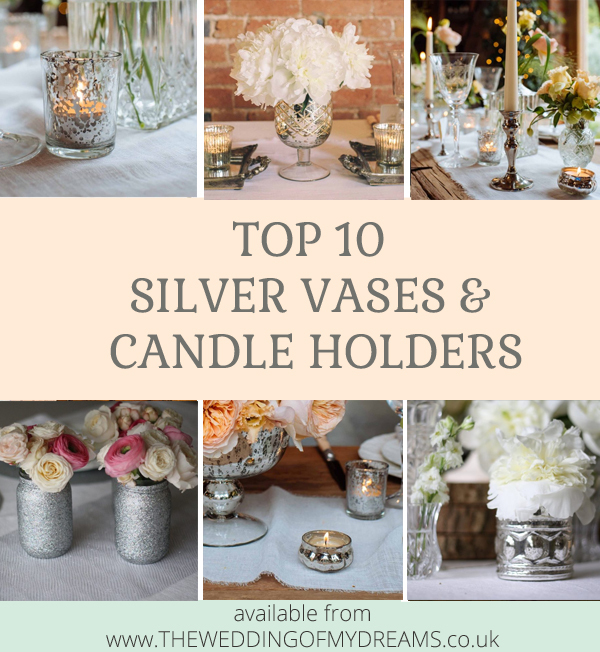 Our top 10 silver vases and candle holders particularly perfect for a magical Winter wonderland wedding, or if you just want to add a dash of sparkle to your day. 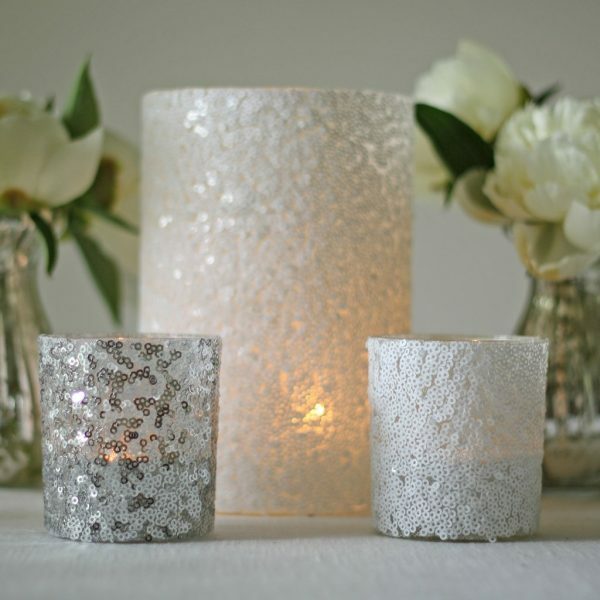 Our sequin tea light holders are the perfect way to add a touch of Winter glitz and glamour to your wedding tables. The candlelight makes the sequins sparkle and shimmer, especially as the evening draws in. Tea light holders can be used anywhere throughout your wedding venue: whether it’s your card and gift table or as part of your table centrepieces. 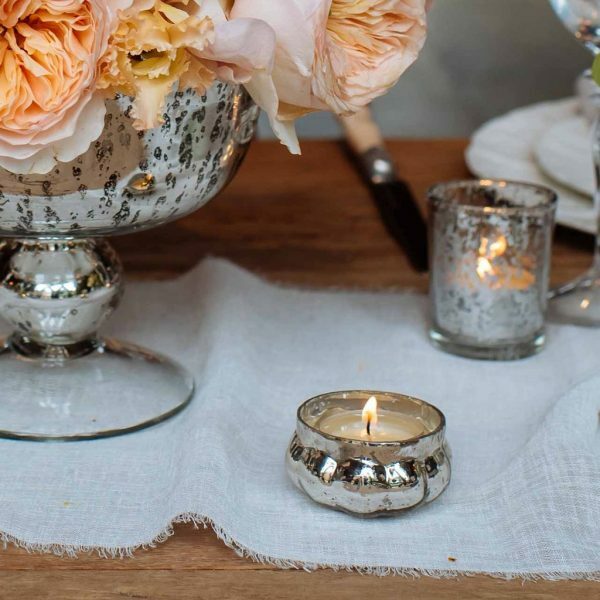 Our mercury antique tea light holders look fab against a glittering silver sequin table runner. Add our tall silver candle sticks to your reception tables for maximum impact. 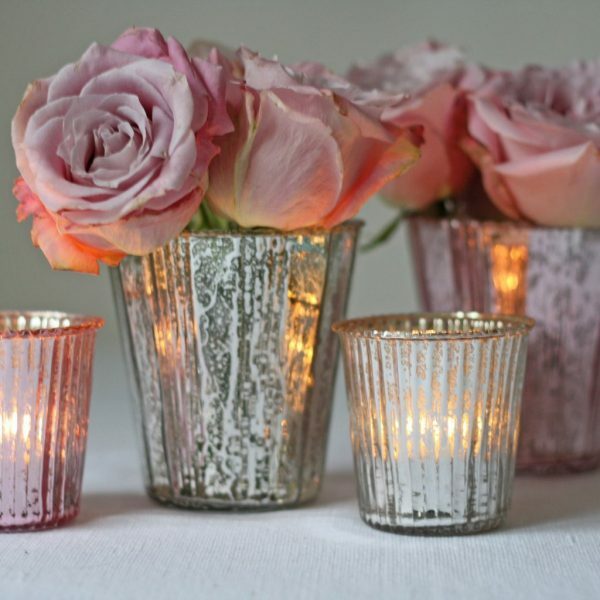 They look ultra-glamorous used on their own but also work beautifully mixed amongst silver vases and candle holders. 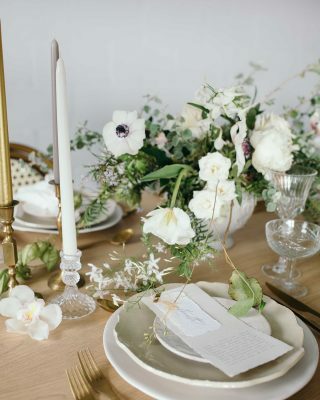 If your wedding venue is in need of some serious decoration, why not dot the candle sticks along the windowsills? 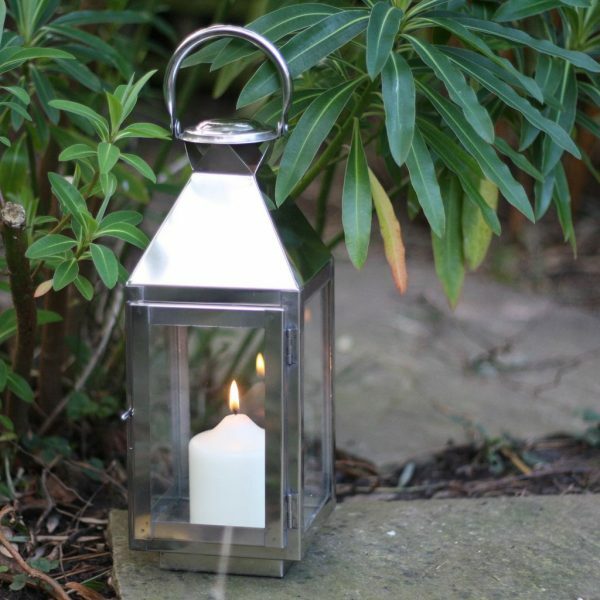 Add a splash of silver to your wedding venue decor with our silver tea light holders. 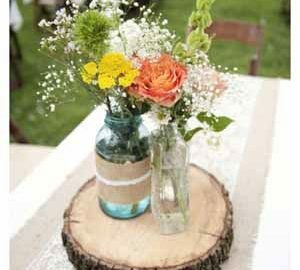 They look fab dotted along long trestle tables amongst other candles and vases. They also float, so why not fill up silver vases with water and place a few tea lights in them? It would make for a unique yet magical centrepiece. 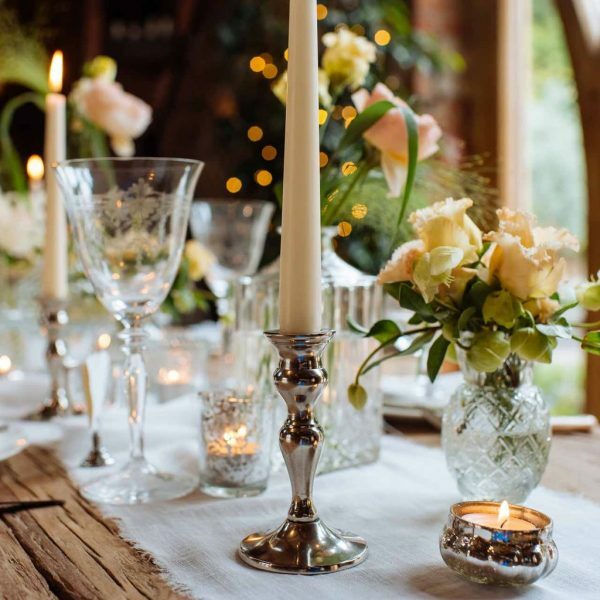 Give your wedding tables a romantic glow with our antique silver tea light holders, or use them to decorate your card and gift table. 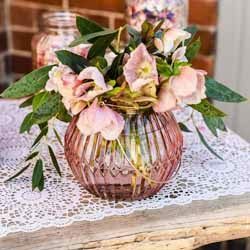 The larger size also works beautifully as a vase for your table centrepieces, simply add a small bunch of pretty blooms. You could mix and match a variety of silver vases and candle holders along your wedding tables for a modern and contemporary style. If you’re dreaming of a silver sparkling wedding day, our glitter jar vases are an absolute must-have! 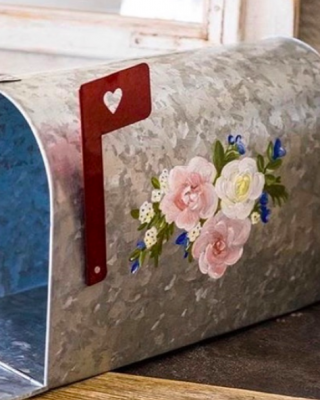 They look wonderful dotted around your wedding venue entrance and will give your guests a fab first impression of your special day. 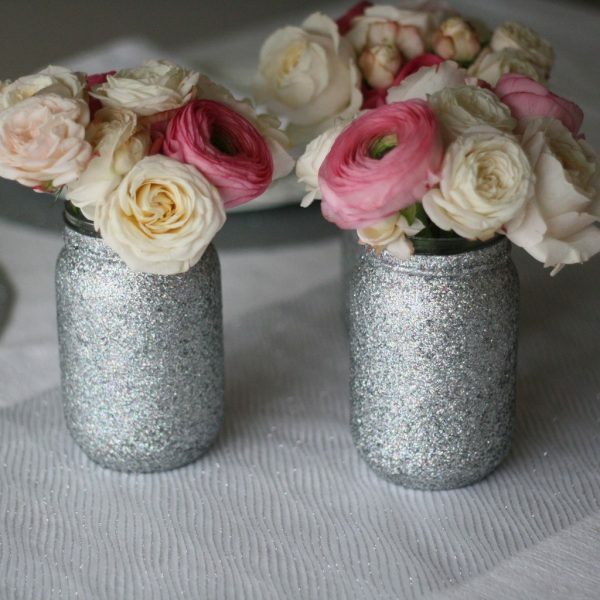 Alternatively, group a few silver glitter jars together for a ‘WOW’ factor table centrepiece. They look beautiful filled with bright colourful flowers for Summer celebrations, or frosty white blooms for Winter weddings. You could also use them to hold cute cocktail straws or colourful cake pops. 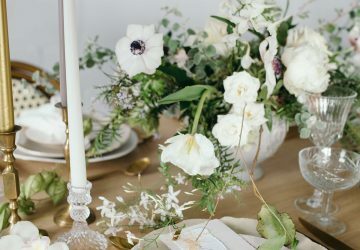 Searching for a showstopper wedding centrepiece? Then look no further than our large mercury silver vases. The diamond etchings add a touch of glamour while the golden interior looks seriously luxurious. We suggest styling the vase with pure white flowers, but you could also add a candle and create a gorgeous golden and silver glow. 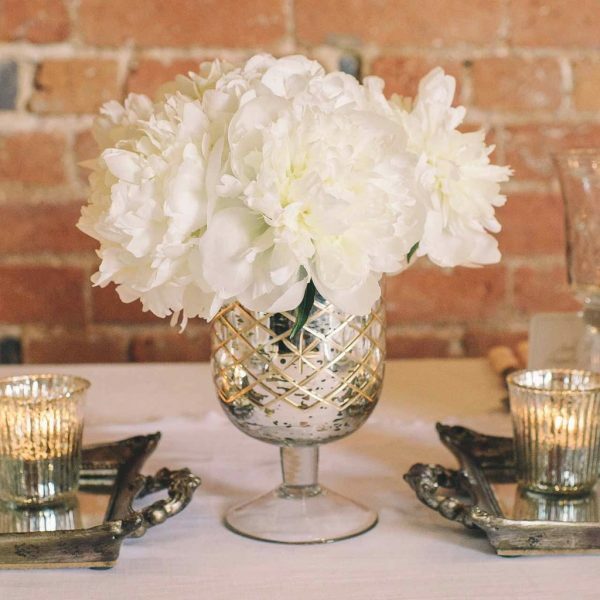 Silver vases are a beautiful addition to any wedding table, and our ribbed mercury glass vases are absolutely no exception. 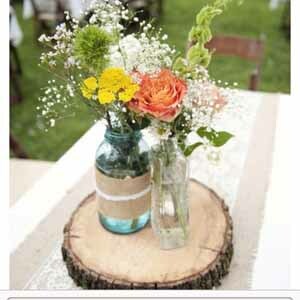 They look stunning filled with a small bunch of pink or white flowers and they suit any theme or wedding style. Surround them with small mercury tea lights for an ultra-romantic ambience. If silver vases and candle holders don’t take your fancy, have you ever considered using chic silver lanterns instead? Lanterns are seriously versatile and can be used in lots of different ways throughout your venue decor. You could place them along the ceremony aisle at the end of each pew. They also look perfect dotted around your wedding venue entrance, particularly if you’re having an evening reception. Silver lanterns filled with flowers or pillar candles make for magical centrepieces too – especially for a Winter wonderland wedding! 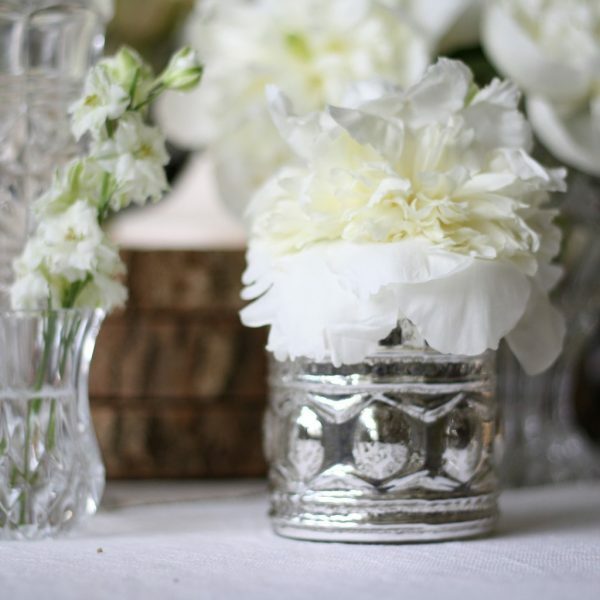 Decorate your wedding venue with our chic silver bud vases. 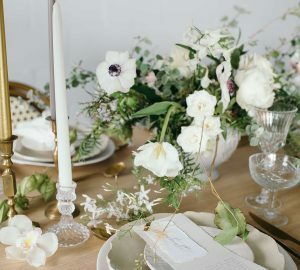 They look divine set along trestle tables or lined up along a windowsill. Their teardrop shape can hold a small bunch of flowers and they look gorgeous amongst other silver vases, bottles and candle holders. 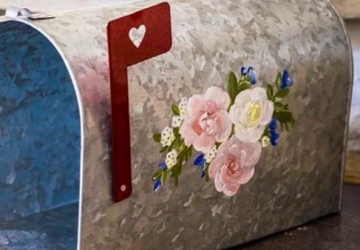 Display on a silver glitter place mat or a rustic wooden tree slice. They can also double up as luxurious wedding favours for your guests. Simply write each guests name on a small luggage tag – it counts as their place setting too! 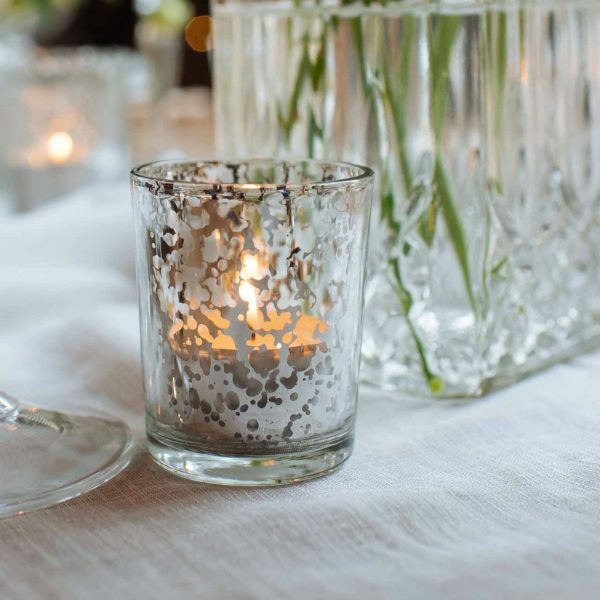 If you love the sound of silver vases and candle holders, browse our full collection of mercury silver wedding decorations!